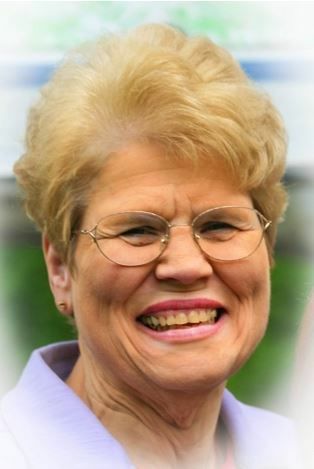 Kathleen (Kathy) Martin, 70, of Albany, died, unexpectedly, Saturday, April 6, 2019, after a brief illness. She passed away, at home, with her loving husband, Dennis, at her side. Kathy was born in Lebanon to Leo C. Gerding and Mary E (Fromherz) Gerding of Corvallis. She and her twin joined an older sister and brother. A second brother was born later. As a fourth generation Oregonian, Kathy loved to learn about her King ancestors who came to Oregon, in 1845, on the Oregon Trail, settling Kings Valley in 1846. Her great-great grandfather, Solomon King, was one of the first sheriffs of Benton County. Growing up in Corvallis, she helped at her family grocery store and volunteered as a candy striper at the hospital. After graduating from Corvallis High school, in 1966, she attended Salem Tech (Chemeketa Community College), earning a certificate as a Medical Assistant. She met Dennis at Newman Club (Catholic student group) at Oregon State University. They were married on March 15, 1969 in a double wedding ceremony with her twin sister and her future husband. She worked at several medical facilities, taking time off to raise their two sons. Kathy was an accomplished homemaker, a skilled seamstress, quilter and needlepoint artisan. Kathy enjoyed numerous family activities, especially celebrating birthdays, anniversaries and holidays with extended family. In the weeks before her death, Kathy was overjoyed to meet her 17 month old grandchild, Leah, from Florida, for the first time. Dennis and Kathy renewed their wedding vows, celebrating their 50th wedding anniversary with family and friends. Kathy is survived by her husband, Dennis of Albany; son, Michael (Shaleen) of Damascus, Oregon; sister, Janet King of Newberg, Oregon, brother, Richard (Sandy) of Corvallis, twin sister, Karen Raskin (David) of Grants Pass, Oregon, brother, Kenneth (Robbi) of Portland, Oregon; six grandchildren and numerous nephews and nieces. She was predeceased by her parents; and son, David J. Martin of Rockledge, Florida. Diagnosed with Type 1 diabetes, at age 30, she had a special place in her heart for diabetes research. Donations in Kathy’s name may be made to the American Diabetes Association, Oregon Public Broadcasting or the charity of your choice. Funeral mass will be at 11 a.m. on Friday, April 26, 2019, at St Mary’s Catholic Church, 822 Ellsworth Street, SW, Albany. Reception to follow. Cremains will be interred at St. Mary’s Catholic cemetery in Corvallis.